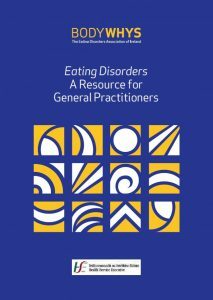 This free resource gives an overview of the issues around eating disorders, screening and assessments, the goals of treatment, treatment within general practice and treatment options. Alternatively you can download a PDF version. Bodywhys acknowledges with sincere thanks the support of the Irish College of General Practitioners in the production of this booklet.